Saudis moving a camel from one pickup truck to another. 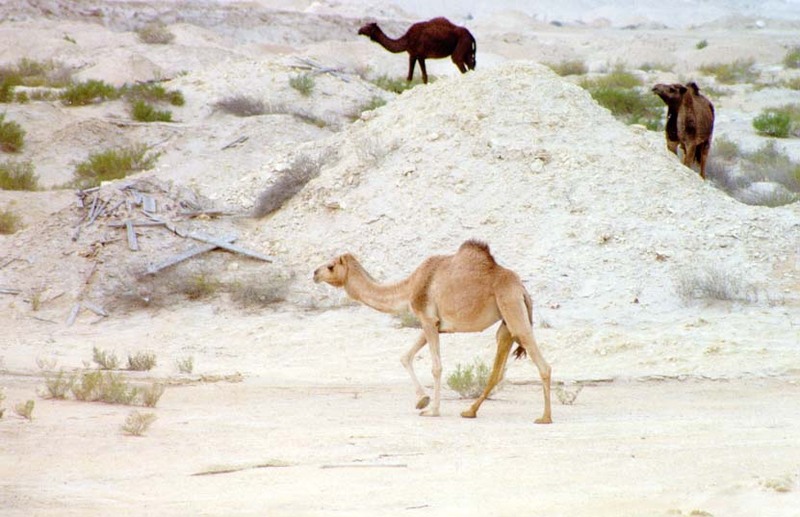 Saudi civilians near KHALID Range, 4 January 1991. XVIII Airborne Corps History Office photograph by SPC Randall R. Anderson, DS-F-097-08. 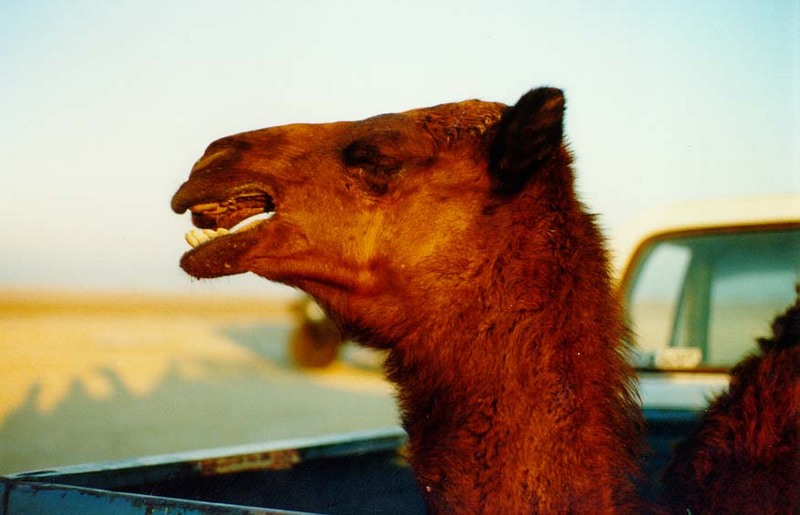 Saudis moving a camel from one pickup truck to another. 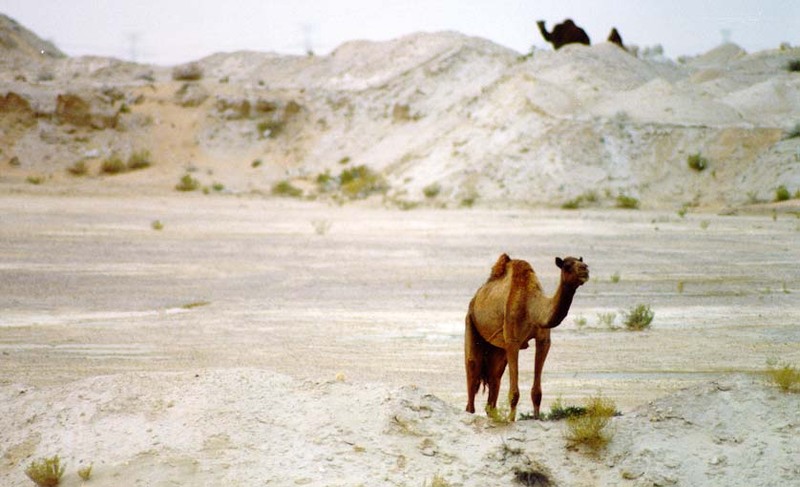 Saudi civilians near KHALID Range, 4 January 1991. XVIII Airborne Corps History Office photograph by SPC Randall R. Anderson, DS-F-097-10. Near the Staffordshire Regiment, 1st UK Armoured Division live fire training exercise to assault mock village and trench complex, Camels roaming along the side of Main Supply Route DODGE (the Trans-Arabian Pipeline ["Tapline"] Road), 6 January 1991. XVIII Airborne Corps History Office photograph by PFC John F. Freund, DS-F-105-23a. Near the Staffordshire Regiment, 1st UK Armoured Division live fire training exercise to assault mock village and trench complex, Camels roaming along the side of Main Supply Route DODGE (the Trans-Arabian Pipeline ["Tapline"] Road), 6 January 1991. XVIII Airborne Corps History Office photograph by PFC John F. Freund, DS-F-105-24a. 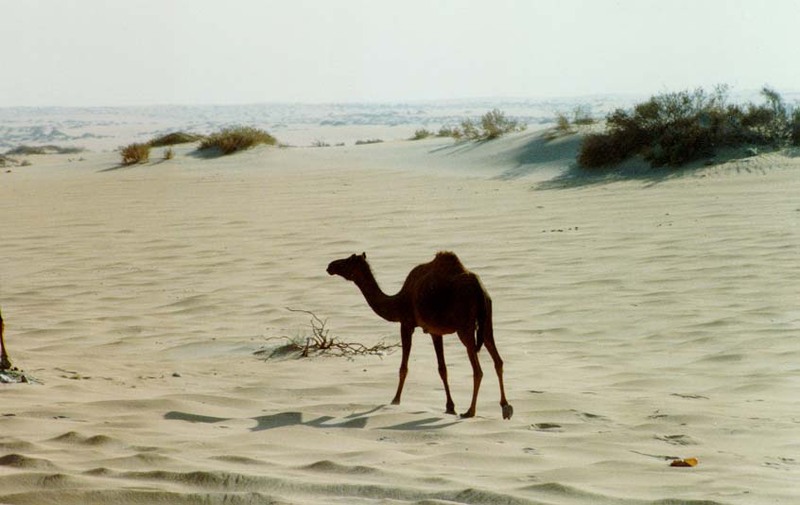 Camels roaming sand dunes on outskirts of Dhahran, Eastern Province, Saudi Arabia, 19 January 1991. XVIII Airborne Corps History Office photograph by PFC John F. Freund, DS-F-125-09. 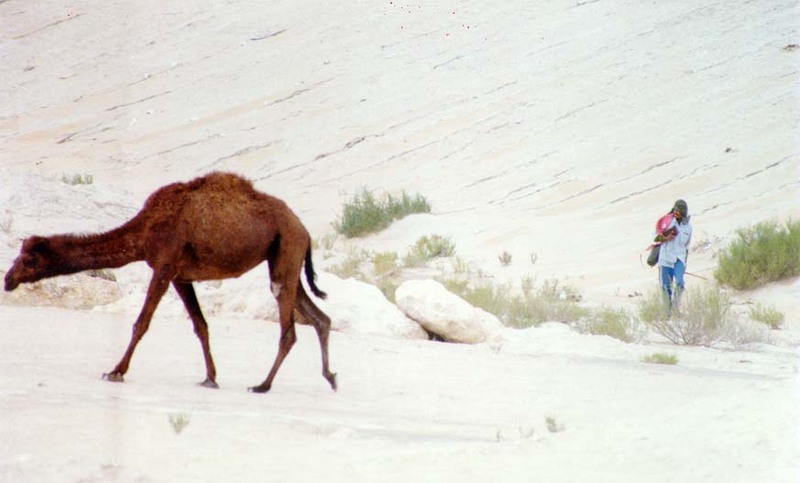 Camels roaming sand dunes on outskirts of Dhahran, Eastern Province, Saudi Arabia, 19 January 1991. XVIII Airborne Corps History Office photograph by PFC John F. Freund, DS-F-125-16. 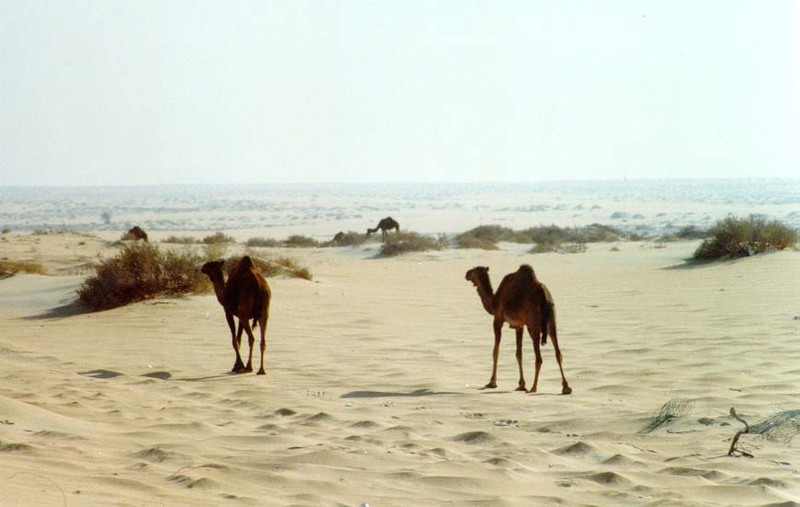 Camels roaming sand dunes on outskirts of Dhahran, Eastern Province, Saudi Arabia, 19 January 1991. XVIII Airborne Corps History Office photograph by PFC John F. Freund, DS-F-125-18. 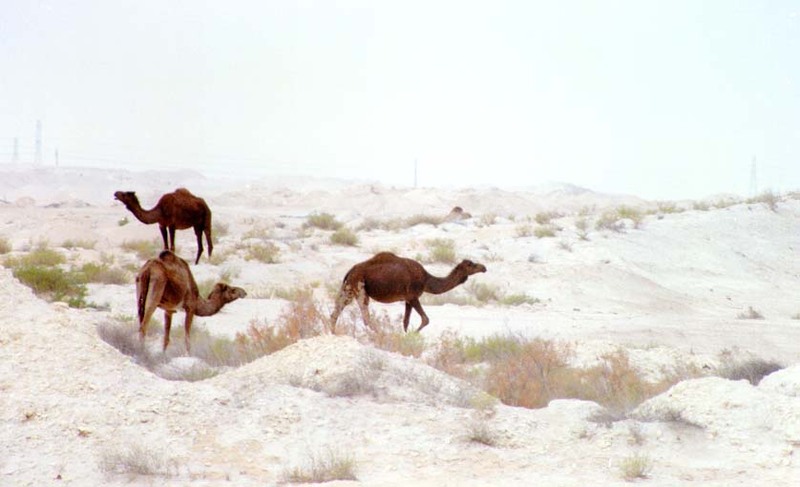 Camels roaming sand dunes on outskirts of Dhahran, Eastern Province, Saudi Arabia, 19 January 1991. XVIII Airborne Corps History Office photograph by PFC John F. Freund, DS-F-125-24.